An Accredited Training Associate (ATA) is an instructor who delivers Lean Six Sigma training as a sole proprietor or as a contractor or an employee of an Accredited Training Organization or Accredited Deployment Program and meets the IASSC criteria to receive such designation. 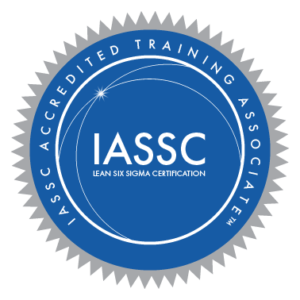 ♦ Recognition as someone qualified to deliver consistent, high-quality, robust Lean Six Sigma training in a manner consistent with the Lean Six Sigma industry standards as characterized by IASSC. ♦ Your IASSC ATA badge, displayed at your place of business and on your social media profiles, such as LinkedIn, gives a favorable impression. ♦ Gain the interest of Accredited Training Providers and Accredited Deployment Programs as a qualified Lean Six Sigma trainer. ♦ Shows that you value a Best-Practice Certification Architecture and Protocol. ♦ Industry leaders, businesses and consumers have praised the IASSC’s Position, Accreditations and Certification programs. Your Accreditation makes you a part of this LSS industry-wide initiative. ♦ Instructors applying for the ATA at the request of an Accredited Training Organization or an Accredited Deployment Program – your application fee is likely included in their application fee. ♦ Instructors applying independently, not at the request of an ATO or ADP, dues are 100% tax deductible as a reasonable and necessary business expense. IASSC’s core objective, which is sought through the application and follow-up process, is to verify one’s Adult Educational Competence as demonstrated (1) by a history of having conducted successful adult educational Lean Six Sigma programs; and (2) through a history of having at least three years relevant working experience in the application of the content of the Lean Six Sigma methodology. Finally, after the preceding qualifying factors have been assessed and successfully met, the candidate must demonstrate Technical Competence by achieving a score of greater than 600 on the IASSC Black Belt Exam. This will be conducted through our on-demand testing method. Successful candidates will be granted Black Belt Certification and Accredited Training Associate status. ATA application candidates are allowed only 1 retake attempt. ATA candidates that have failed both their original exam and their retake exam must wait at least 6 months from the date of the original application submittal to reapply for Accreditation. Candidates that pass an exam but do not comply with the Exam Retake Policy may not be granted Certification in IASSC’s sole and absolute discretion. The ATA accreditation is issued for a period of three (3) years. Renewal of the designation requires the submission of a new Application, payment of the appropriate fee, as well as any other documentation IASSC may request to reconfirm verification of the membership criteria. ATA renewals are subject to the IASSC Recertification Policy criteria and must maintain a Certification Status of “Active”. ATAs who have been granted a designation prior to March 1st 2017 will be grandfathered, noted as such and therefore not subject to the term of three (3) years or the recertification requirements; provided, however, the “grandfathered” ATA adheres to all applicable terms and conditions. * Application Fee waived for instructors applying at the request of an ATO or ADP.